Drop in colouring in workshop… Intro to aperiodic tiling systems. Spot and colour patterns inside and tiling system that goes on forever. 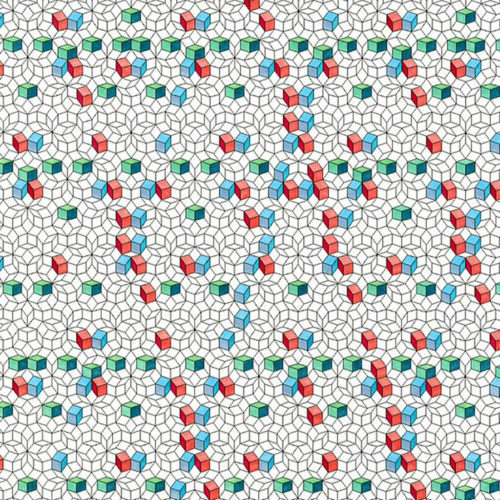 Unlock the mysteries within this these simple looking tiling patterns and find your own ways to explore; along the way learning what they are, how they are created and their applications.